Following on from the previous article (May 2017) you have now assessed your resources, refined your vision for your “small” farming operation and completed the comparative gross margins for the grain crops that you are able to grow profitably on your farm. Most of your grain crops have probably been harvested now and an analysis of what yields and income took place can be completed. As a benchmark and working to the estimates made by the Crop Estimates Committee (CEC) at average yields the gross incomes generated per hectare would be as shown in Table 1. Compare your results to the national averages and assess your current financial position. If your yields are better then you have managed to compete with the average of the medium and largest commercial farmers. If you have, please congratulate yourself! The main consideration would be to determine if the gross income after direct costs was able to pay for all fixed or overhead costs including equipment depreciation and owner’s drawings or salary. You will realise immediately if you are making progress and surviving as a “small farmer”. If your yields were high enough within the potential of your soils and fertility you may be able to sell your whole crop to your local silo or co-operative and be ready to compete in the market again in the coming season. At lower maize yields it might be wise to store your grain if the next years July futures market is higher than the ‘spot’ price or to add value to on farm stored maize. Or to add value in other areas by producing milk and/or cheese, through finishing weaner calves, table eggs through layer hens or producing broiler chickens for your local market as some examples. The income from growing speckled sugar and other beans might be a very attractive proposition as a small farmer and would enable you to move away from competing with the basic commodities produced by the medium, large and mega farming operations. It would be ideal, as a small farmer, even if producing some grains to diversify into as many added value enterprises to enhance your viability and sustainability as a farmer. You will ensure that you remain self-employed instead of being unemployed and in this way contribute to your family, local community and the country. Look at the results of the past season and identify all the factors that caused or might cause shortfalls in production. 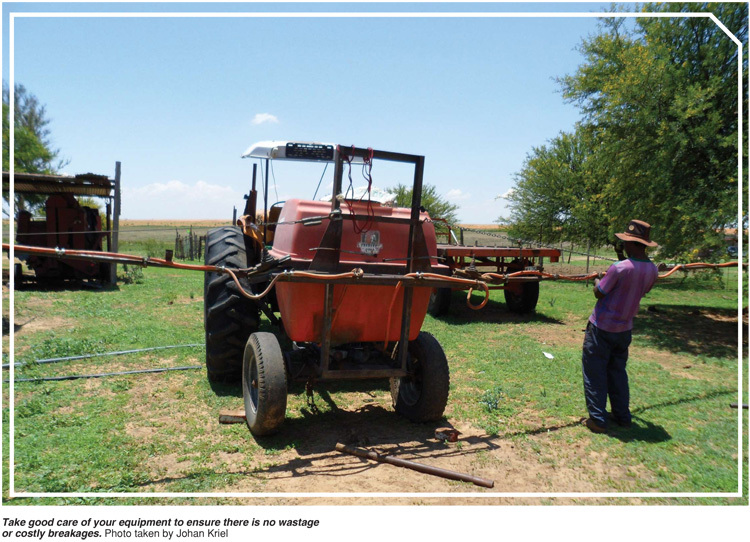 Your mechanisation or labour force must be able to plant each crop in the appropriate production window on time and with the correct plant populations and weed and insect control. This is the time to educate yourself on using better crop cultivars and production methods. This might entail a new tractor or acquisition of a more accurate planter and spray rig for example. Look at each cost item in your direct cost and fixed cost budgets to see where any improvement in price or efficiency can be gained. It would also help if your production inputs can be pooled and bought in the market in bulk and then distributed to each participating farmer. As a smaller farm, you must aim to do ‘more with less’ but work to a strictly planned production programme. 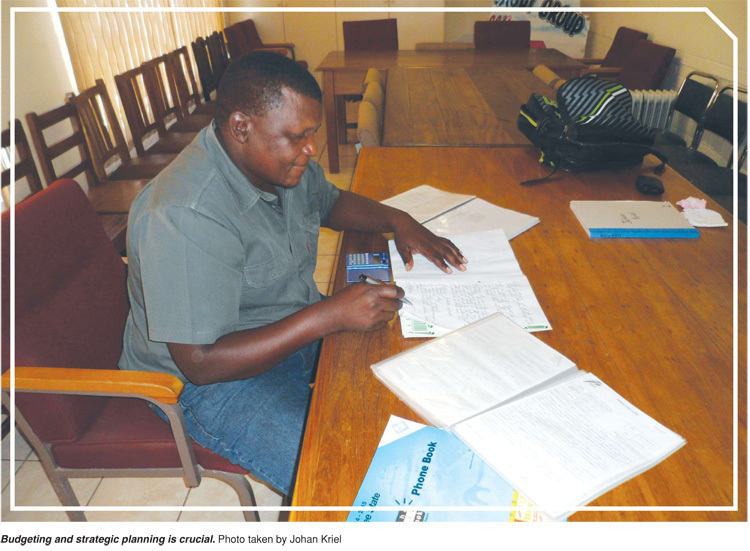 Improve your management skills on a continuous basis and talk to your local farmers about sharing resources to plant and harvest crops as well as sharing in projects and purchasing the correct equipment to enable the development of products for sale in your local market to add value to the basic grain commodities grown. Consider in depth if the grain or basket of grains produced in your operation will enable you to ‘compete’ and survive in a risky market environment. Strongly consider the option of investigating the right added value enterprise to produce the right products for sale in your community.